If your organization is using an IdP (identity provider) that supports SAML, you can configure SSO in Empire using SAML 2.0. A User starts a Service Provider (SP) initiated login, by visiting https://<empire>/saml/login. Empire generates a SAML AuthnRequest and redirects the user to the IdP to authenticate. The IdP authenticates the user and generates a signed SAML Response, then posts this to https://<empire>/saml/acs. 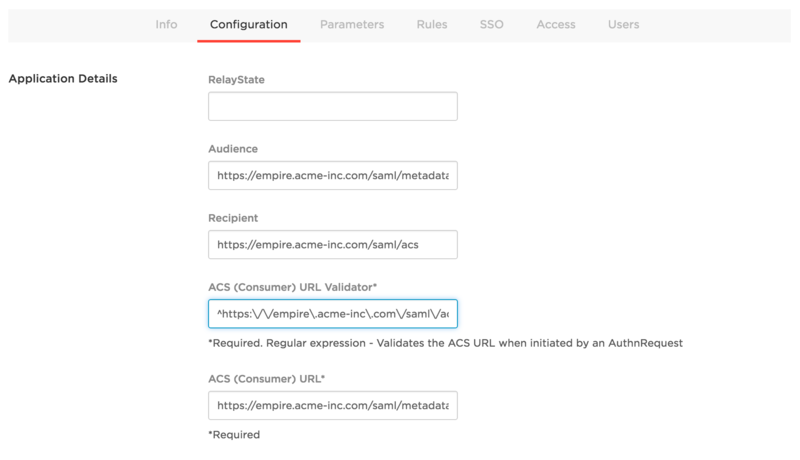 Empire decodes the SAML response, verifies the signature, and validates the assertions. Empire then generates a JWT API token, and presents it to the user to add to ~/.netrc. In order to use the SAML authentication backend, you first have to configure your IdP. We'll use OneLogin as an example, and assume that our Empire instance is located at https://empire.acme-inc.com. 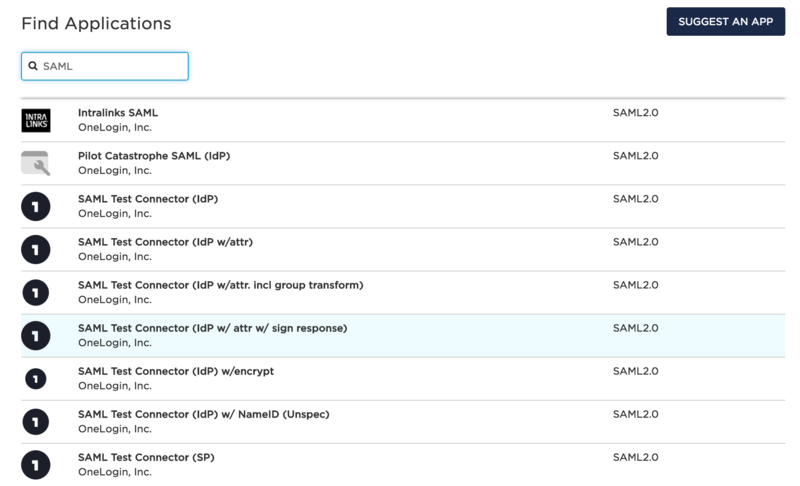 When using OneLogin, you'll want to use the "SAML Test Connector (IdP w/ attr w/ sign response)" app. Now, go to the SSO tab and copy the Issuer URL. We'll set the EMPIRE_SAML_METADATA environment variable to this value. $ openssl req -x509 -newkey rsa:2048 -keyout saml.key -out saml.cert -days 365 -nodes -subj "/CN=empire.acme-inc.com"
Use these as the values to EMPIRE_SAML_KEY and EMPIRE_SAML_CERT. Finally, set the EMPIRE_SERVER_AUTH value to saml to enable the SAML backend. Currently, Empire only looks at the NameID assertion, which it uses as the internal Empire user identifier. This is what will show up in Empire events when a user performs an action.